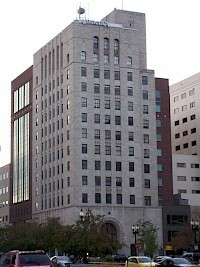 Boji Tower stands at 124 Allegan Street, in Lansing, Michigan. 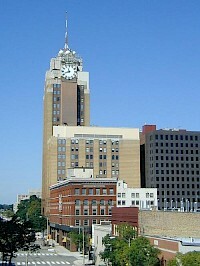 It has been the tallest building in Lansing, since its completion in 1931. 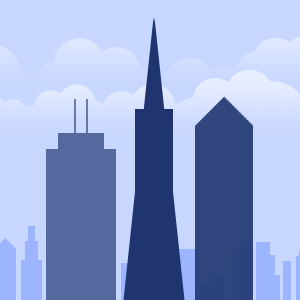 The tower was originally constructed as the Olds Tower, named after the automotive industrialist, Ransom Eli Olds, who was the main financier of the tower project. Shortly thereafter it was renamed Capital National Bank Tower, after the bank that Ransom Eli Olds helped form. The Grand Tower is an office building located at 235 South Grand Avenue, next to the Grand River, on the southeast side of downtown Lansing, Michigan. With 16 floors, it is the second tallest building in Lansing, after the Boji Tower. Since its opening in 1991, the Grand Tower has been primarily used for State of Michigan government. The brick and glass facade took 21 days to complete.